RapReviews.com Feature for September 6, 2011 - Canibus' "Lyrical Law"
There's going to be some unavoidable confusion from the jump when I explain to you the reader that there are THREE different versions of "Lyrical Law." In an effort to offer the most choices to his dedicated fans (or perhaps more cynically to make the most profit off them) you could order either a one disc "Lyrical Law" that only came in a CD sleeve, a two disc "Lyrical Law" in a jewel case with bonus tracks and remixes, or a DELUXE three disc edition which 'Bis recorded back in 1993 when he was part of a group called The Heralds of Extreme Metaphors a/k/a THEM. With apologies to the die-hard Canibus fans out there, I don't have the patience for three whole discs in one sitting, and I'm not sure I can feign enthusiasm for an album Germaine recorded when he was still a teenager. Perhaps on another day at another time, I'll give it a shot. The first disc is common to all three versions of "Lyrical Law," so our review today will focus on this volume. The producers on this CD are The Architect, DJ Kru and DJ Immortal. 'Bis has two reoccurring themes on this album - one of which is discarded after a few songs and the other which remains for almost the entire CD. The first is The Iron Sheik, a man born Hossein Khosrow Ali Vaziri in Iran who excelled as an amateur wrestler early in his life. He was lured into the world of pro wrestling in the U.S. in the 1970's, then rose to fame in the 1980's as a villainously cartoonish bad guy (heel) foil for good guy (babyface) wrestlers like Hulk Hogan. With the passing of time and consumption of too much wine, Sheik found renewed fame in the 2000's for his vitriolic expletive filled tirades against wrestlers he faced in the 1980's. These often came with threats to "humble" his enemies which were curiously homosexual, even though most of his slurs were homophobic. The fetish for using Sheik's profane rants seems largely over after the lengthy third track "The Art of Yo," at which point the listener is presented with numerous songs with "Cypher" in the title. Six straight songs on "Lyrical Law" and 7 out of 15 overall include the word, though to 'Bis credit each one is indeed a conglomeration of emcees and not just his own verbals. "Emerald Cypher" features Born Sun and Killah Priest. "Golden Cypher" features K-Solo and Ras Kass. "Cypher of Agartha" features Copywrite and Planet Asia. "Cypher of Steel" features K-Rino and Skarlit Rose. The best among them all may be "Cypher of Five Mics" which features a trademark quickly spit punchline rap from Chino XL. There's also a "Cypher of Bread & Butter" with Royce Da 5'9" - which is slightly odd given the two were originally said to be feuding on Twitter before this album was released - and a "Cypher With Self" whose title one could argue is self-explanatory. It's arguable that the epic 12 minute long "Rip vs. Poet Laureate" does the same thing though. Speaking of song length, that's one of the greatest strengths and weaknesses of "Lyrical Law." 'Bis is clearly out to prove a point here, both that he's the epitome of emcee based on the rappers he can hold his own with in a cypher, and the length with which he can flow on his own when he's not in one. That makes for some intriguing material for the die-hard Canibus fan, but even those who like him may feel overwhelmed knowing over half the tracks are more than four minutes long. 'Bis is often compared to rappers like GZA and Rakim in terms of his metaphoric strength, breath control, clarity of diction and commanding stature on the microphone. One key difference is that both GZA and Rakim were able to prove they were great in shorter attention getting bursts, and while I'd never argue that 'Bis isn't a great rapper, the sheer volume of songs like "Rip vs. Poet Laureate" is mind-numbing. On top of that there's a gimmick with computer manipulating his bars that is either (A.) lyric samples spliced together or (B.) an artificial attempt to speed up his flow by taking pauses out. Steel yourself before pressing play if you listen to it all in one shot. 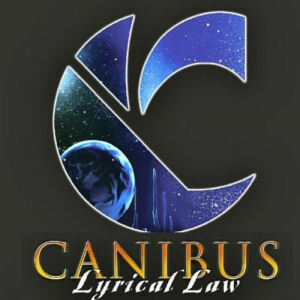 In summary "Lyrical Law" is an album marketed to the most passionate of Canibus fans, initially sold only through his personal website, and that shows in the selection of material which can be found on it. While arguably any recent 'Bis album such as "C of Tranquility" can be described similarly, this one more than most goes out of its way to say "there's no such thing as a song here you can put on a mixtape or spin between tracks on college radio." A better title for this release might have been "Lyrical Exercise" because that's exactly what it is - 'Bis showing off his raw talent at the expense of making concise and easily palatable tracks. It's an impressive performance, but it's also a bit maddening that he couldn't throttle it back a bit. No one expects 'Bis to make pop friendly music, but at the very least Germaine, a few songs under four minutes with a hook to break things up really aren't so evil.